We're a Disney family. You knew that already. 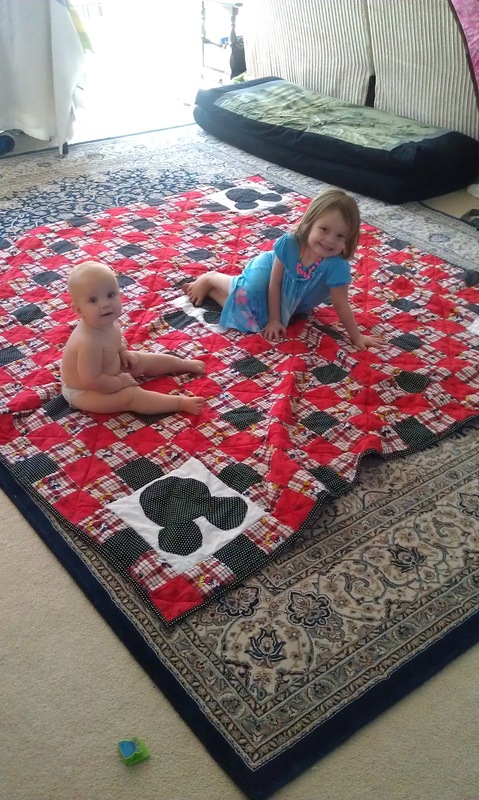 So when I stumbled across some Mickey fabric from Hobby Lobby I had to make a quilt for my mom. She's been following the process on facebook and so far she loves it. This is a queen-sized quilt with over 400 little squares but it went together really quickly. After cutting all the small squares, he next thing I did was assemble the Mickey ears and applique them to the white blocks. I pinned it to the white block in my desired orientation sewed around the edges, and it turned out super cute!!! Then I just assembled the rows like a traditional patchwork, pressing seams in opposite directions row by row and nesting seams to create perfect lines in the quilt top. 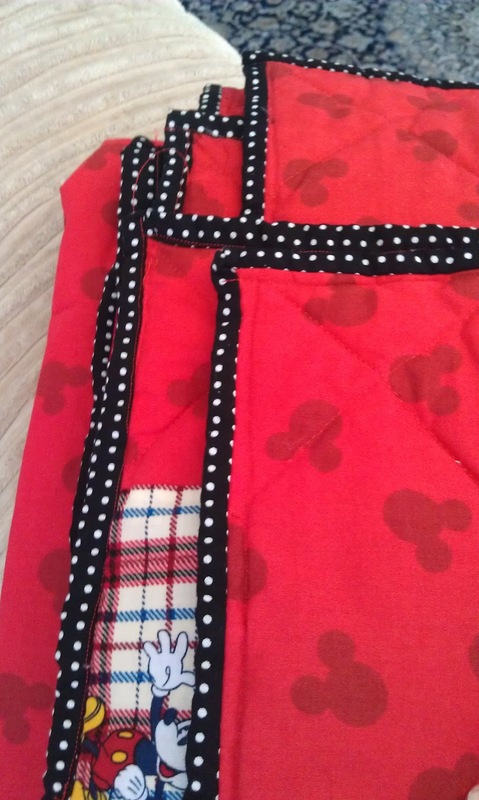 You can see it's symmetrical - five rows across and down between the top Mickeys and the middle Mickeys. I think with a quilt like this, you should map it out first even if you want it to look wonky. 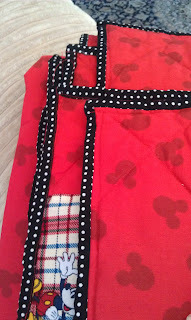 I didn't quite have enough of the plaid fabric so I had to make changes before sewing. That's something you want to find out as early as possible! The quilting was intimidating but I had nice crisp seams to guide me and was able to do it with no problem after rolling the quilt tightly so it would fit in the little gap of my machine. I went with simple diagonal lines, and squares quilted around the Mickey blocks. I gave it a wash and it's ready to send off to Mom!